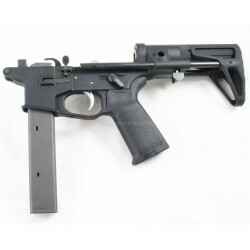 Maxim Defense CQB / PDW stock w/ JP silent captured spring. 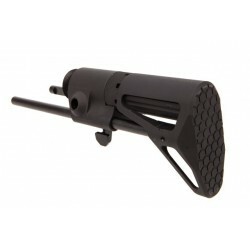 4 position, collapsible w/ QD sling mounts. This is the latest generation from Maxim specifically designed by JP for use with 9mm (heavier weights in buffer than standard). 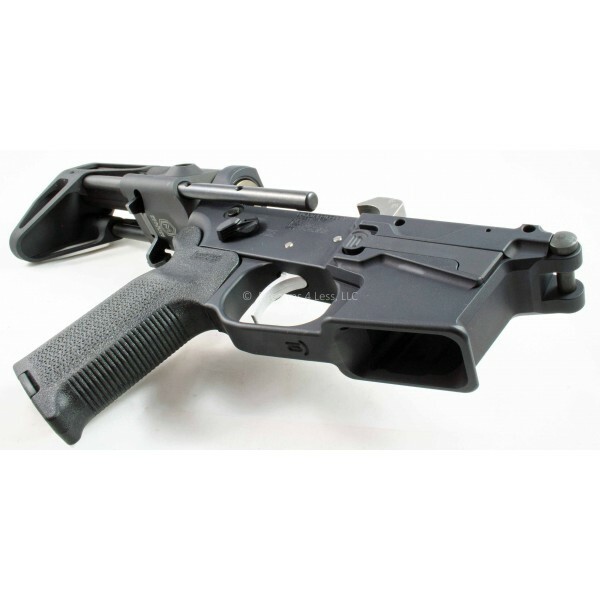 For use with 9mm bolts that do NOT have the central mass 'slug' -- such as the JP bolt JP Rifles 9mm Bolt That's designed for use with both Colt and Glock pattern lowers. Glock magazine in photo NOT included. 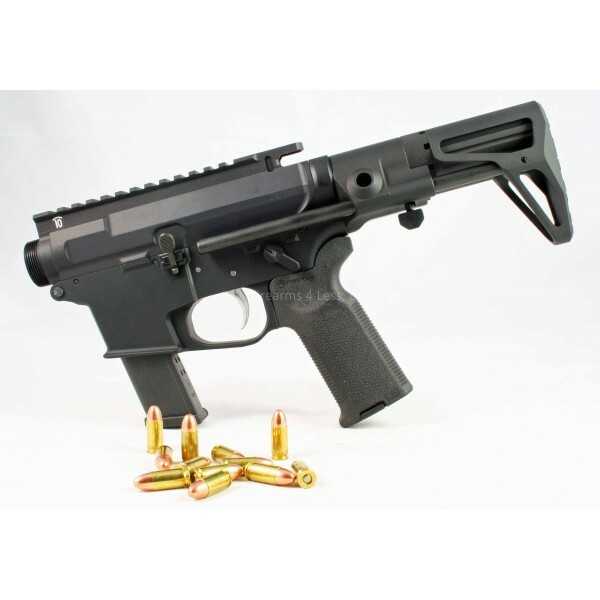 The Quarter Circle 10 Pistol MUR is a highly rigid upper receiver designed specifically for pistol-caliber AR builds. 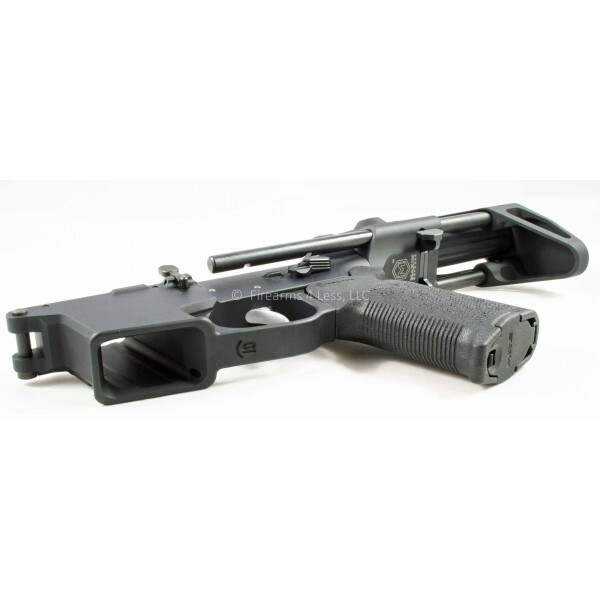 Our upper receiver design is derived from the operator-quality VLTOR MUR receiver, and with the help of VLTOR engineers and our pistol caliber expertise, we’ve brought you the only possible choice for a dedicated pistol-caliber build. 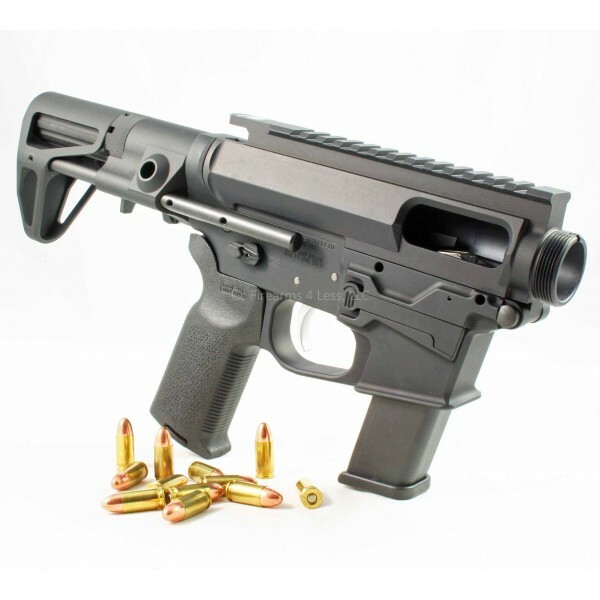 The Pistol MUR is constructed to mil-spec standards, but adds a thicker receiver wall for increased rigidity and strength in blowback operation. This sturdier design contributes to increased accuracy and reliability, extends the life of interfacing components, and is a perfect aesthetic match to our lower receivers. These are slick-side uppers, reducing weight and complexity by doing away with the superfluous forward assist. Furthermore, the QC10 Pistol MUR has a redesigned ejection port engineered with wider pistol cartridge cases in mind. 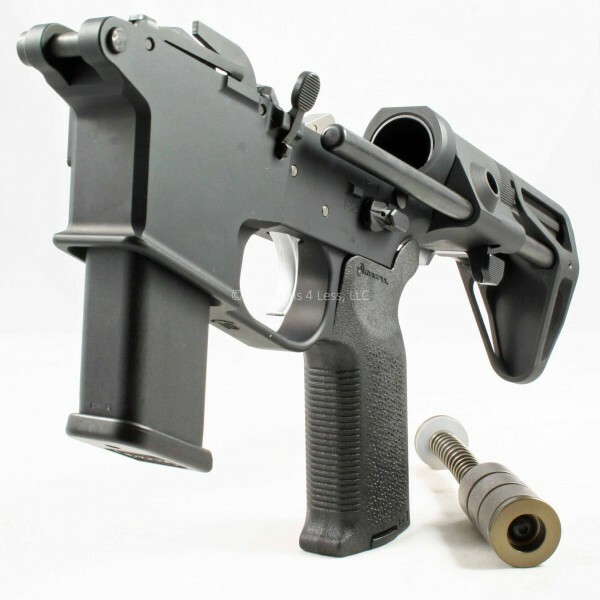 Now, you can build your pistol-caliber platform with the peace of mind of knowing that every component is of the highest quality. Whether for home-defense, law enforcement, competition, or plinking, Quarter Circle 10 has you covered, with our philosophy of Made For- Not Modified. 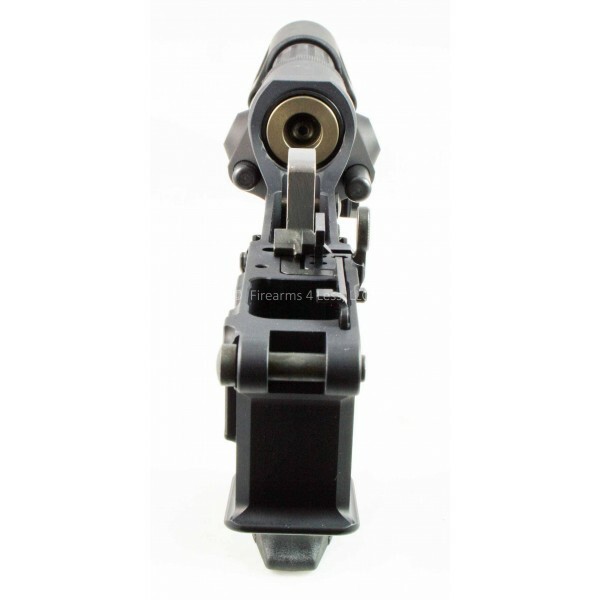 Each of our parts is engineered and manufactured with pistol calibers in mind, rather than modified from rifle-caliber components as an afterthought. We’re Quarter Circle 10, the AR Pistol-Caliber brand. Not quite what you are looking for? Let us know, we can usually accomodate special requests. 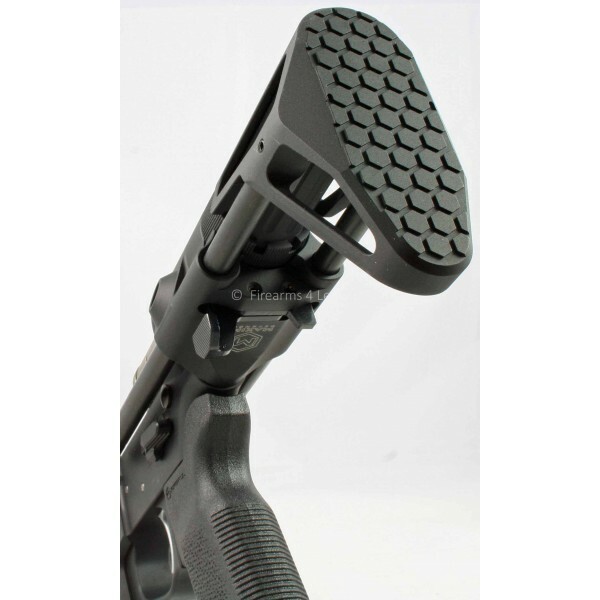 We can also do this in FDE -- FDE grip, FDE Maxim stock, and FDE Talon selector.